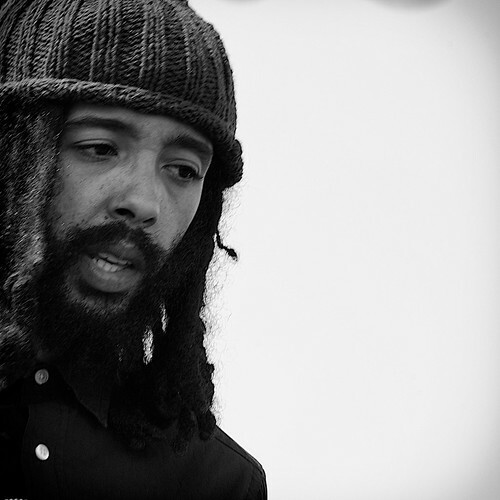 Firm dates have been set for Protoje's return to the West Coast----April 2014. Awesome. I hope most of shows land on the weekends. Is Chronixx coming a long? Every artist deserves their own shine. Kabaka & Chronixx weren't on tour together earlier in the year they just both performed at Reggae on the River both with the Zinc Fence Band. I think that is the only "issue" with the Reggae Revival is that many people assume that all of the artists perform together and therefore should get package deal prices on them.. They all support the works of each other but are separate entities on their own. Mad hyped to see Protoje & The Indiggnation back on the West Coast. I do appreciate each artist individually, Protoje is at the top of my list right now, listen to him everyday. I just thought I ask to see if there was any chance Chronixx would be joining him on tour (it would be nice though). I just feel blessed and honor to have the opportunity to see him at least 2-3 a year. His music is really inspiring. Brand New Song from Protoje, Enjoy! Edited 1 time(s). Last edit at 11/14/2013 12:11AM by ZoulJah. California didn't get the best dates with no Friday or Saturday shows. April 6-10. I hope these change to some weekend dates. Only date I could look into was the 10th but I'm hoping to go to Coachella that day. The dates you are referring to were quoted with regards to Northern California, specifically Chico. SoCal and Bay Area are the dates prior to that window. Niceness. Hope to see a weekend show near by me. this is awesome news! would LOVE to see Protoje live again!!! Wonder if Oregon will be blessed with a show in Portland and Eugene?! April 18 to May 4 - The second leg of the tour moves through Texas, Louisiana, Florida, New York. Contact lloydstanbury@yahoo.co.uk for dates in these states. Just wondering why does Chico get the week day shows? where are the dates posted for the bay area? i can't find them online. Give THANKS LLoyd for the Texas dates...I can't wait and hope to attend several of the other dates in this part of the country, too! I sure hope he comes back to Moe's Alley in Santa Cruz, again. He lifted that little place off the foundation both times so far. Cheers.